Due to aging, an accident, or illness, a member of your family may be experiencing extreme physical and mental changes. If so, you are intimately familiar with the almost countless ways such a condition can impact your daily life. Suddenly, many ordinary tasks become difficult. Perhaps your loved one can no longer stay home alone or requires help with their daily routine. Assured & Associates, a home health agency serving DeKalb County, Atlanta, Alpharetta, Douglasville, and Marietta, is here to support you when the demands of continuous care for a loved one seem overwhelming. Our staff of qualified medical professionals is trained to furnish comprehensive assistance for patients with a variety of medical conditions. We recognize how difficult it is for patients who can no longer perform these tasks on their own. They often feel bereft of pride and dignity. 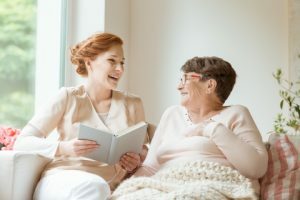 Having long cared for themselves as adults—perhaps even having raised a family of their own—these clients are keenly aware of the loss of certain physical and mental abilities. At Assured & Associates, we pride ourselves on treating our clients with the consideration and dignity they deserve and the understanding they need. We realize that it’s not easy to ask for help, and perhaps even harder to bring in help from outside the family. That’s why we take the utmost care in our work, respecting your home and family while giving you and your loved ones the expert support you can depend on. Those recovering from surgery or dealing with chronic conditions often require different kinds of therapy. The Registered Nurses (RNs), Licensed Practical Nurses (LPNs), and Certified Nursing Assistants (CNAs) at Assured & Associates can provide occupational therapy, speech therapy, and physical therapy. We’ll evaluate the patient’s gross and fine motor skills, then help with such tasks as learning to transfer safely from a wheelchair to another seat, improving manual dexterity, using specialized medical equipment correctly, and performing therapeutic range-of-motion exercises. Assured & Associates is pleased to offer a wide range of home health agency services to our clients. Our courteous, professional staff work hard to perform the tasks you need to make life a little easier. Whether it’s assistance with daily routines such as meal preparation, grooming, or physical therapy exercises, administering medication in the precise prescribed dosages, or offering speech and occupational therapy, Assured & Associates is here to help you and your family cope with the more challenging aspects of your loved one’s medical condition.